While Maryland remains a steadfastly Democratic state by and large, Maryland's 1st Congressional District voted to oust first-term Democratic Congressman Frank Kratovil in favor of Rebuplican candidate Andy Harris last week. All other Congressional incumbents throughout the state, as well as Democratic Governor Martin O'Malley, held their seats. 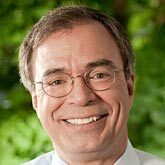 While Maryland remains a steadfastly Democratic state by and large, Maryland’s 1st Congressional District voted to oust first-term Democratic Congressman Frank Kratovil in favor of Rebuplican candidate Andy Harris last week. All other Congressional incumbents throughout the state, as well as Democratic Governor Martin O’Malley, held their seats. We’re joined in Salisbury, Maryland by a panel of 1st District residents for our weekly series On Delmarva. Our guests are former Republican candidate for State Delegate Bonnie Luna, environmental writer Tom Horton, Somerset County NAACP President Kirkland Hall, and Public Radio Delmarva News Director Don Rush.